For most modern-day consumers, their first packaging experience of the day occurs the moment they brush their teeth after getting out of bed—blissfully oblivious to the fact that the cylindrical package containing their toothpaste of choice is just one of a multitude of other plastic tubes they will use by the day’s end. Lightweight, leak-proof, durable, portable and non-breakable, plastic tubes may not always get the recognition and acclaim they probably deserve in the grander scheme of packaging’s natural pecking order. But as with many necessities of life, their mere ubiquity is a worthwhile enough reward in its own right. 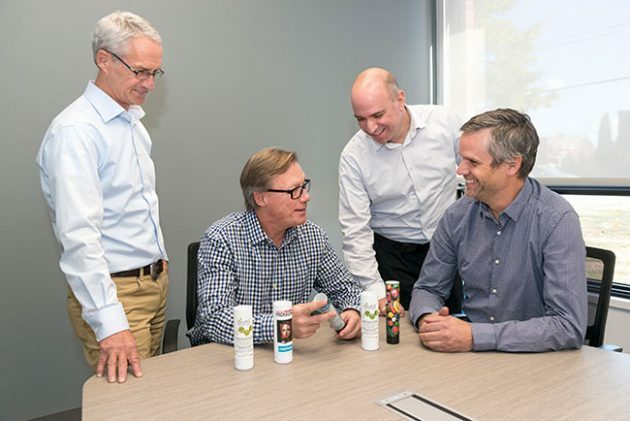 From Left: Plastube president and co-owner Gilles Decelles, vice-president of sales and marketing Steven MacPhail, BDG & Partners managing director Christian Turgeon, and Plastube vice-president of operations Eric Garant sharing a light moment. Making plastic tubes has certainly provided a rewarding way to earn a living for the hardworking folks at Plastube Inc., Granby, Que.-based designer and manufacturer of high-quality tubes for numerous high-profile clients in the health-and-beauty, cosmetics, pharmaceutical, food and other CPG (consumer packaged goods) industries. Founded back in 1963, the company has undergone through numerous ownership changes throughout its 55-year history. However, its most transformational passing of the torch took place relatively recently in 2016, when it was acquired by a Quebec-based consortium comprising private equity funds BDG & Partners Financial Corporation and Fonds de solidarité FTQ, along with private investors Marc Beauchamps and company president Gilles Decelles. Since taking over, the new owners have initiated a series of extensive capital investments at the leased 85,000-square-foot production facility that employs about 130 full-time people, many of them with over 20 years of experience under the belt. 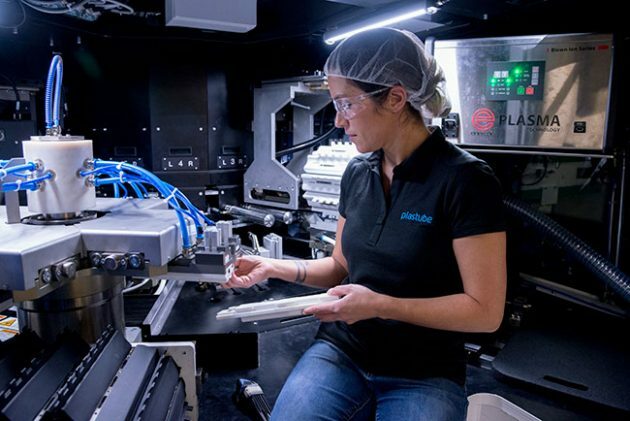 Totalling about $9 million, the capital upgrades included the purchase of a state-of-the-art, made-in-Germany digital inkjet printer that arrived to the facility this past summer. boosted the plan’ annual manufacturing capacity to about 120 million tubes. Measuring about 70 feet in length, the new digital inkjet press is a fitting addition to the company’s already extensive production machinery arsenal that includes five plastic extrusion lines; three laminating lines; three offset printing presses; three silkscreen presses; two labelers and two hot-stamping machines. 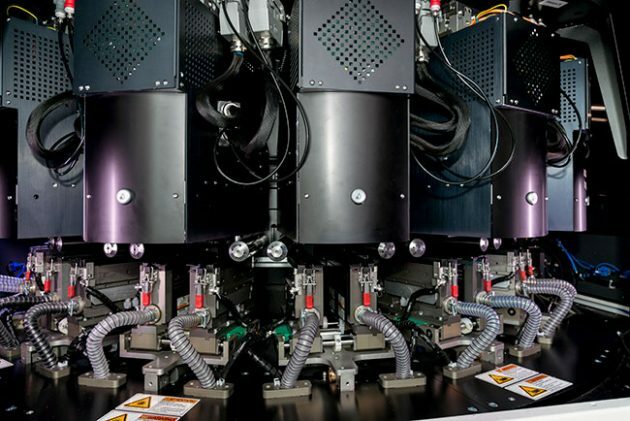 The new $5.5-million digital inkjet press purchased by Plastube from a German manufacturer boasts unique one-of-a-kind capability to print directly onto round surfaces, rather than of flat plastic blanks that are then rolled into cylinders. Because the new digital inkjet press is so new—being only one of two such presses in operation worldwide at the moment—Plastube is currently reluctant to share much detail about the equipment’s manufacturer or exact point of origin. 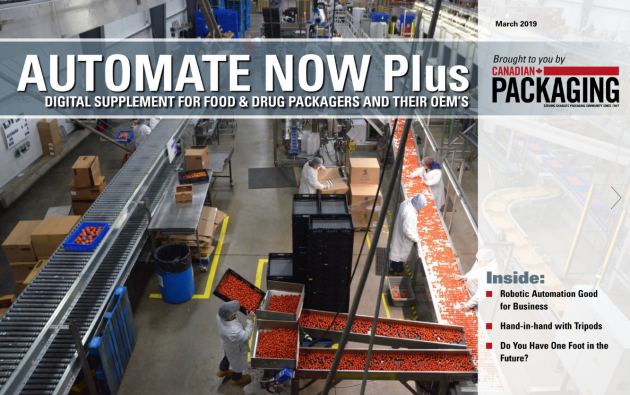 “Suffice it to say that it is by far the most expensive single piece of equipment that Plastube has ever invested in,” says Plastube’s vice-president of sales and marketing Steven MacPhail. 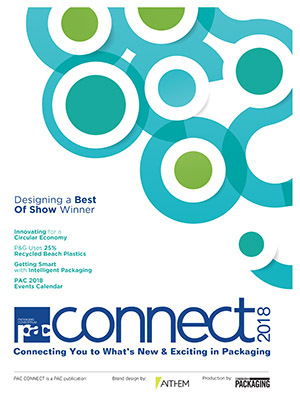 While the highly automated machine can achieve throughput speeds of up to 110 tubes per minute, roughly 35 per cent faster than the traditional offset printing equipment, the primary reason for the hefty investment was its unrivaled flexibility in handling small production runs of 2,000 to 3,000 tubes with minimal changeover downtime. “It’s all done with a flick of a command on the screen,” says MacPhail, noting it only takes four to five seconds for the press to revert back to its original print job. 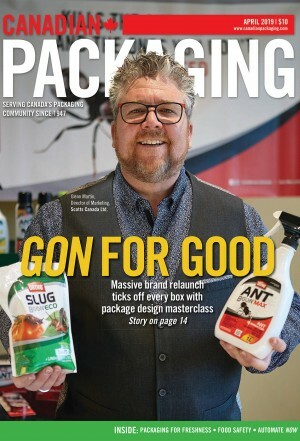 As MacPhail relates, “We see a lot of our future growth coming from the many new ‘indie’ brands springing up in the marketplace, who simply do not need large quantities of packaging during this entry-to-market stage. “With the new press, we are now probably the best-positioned tube manufacturer to serve this indie brand segment,” MacPhail reasons. Plastube has made a significant financial investment in employee training for all staff working with the new inkjet digital press to ensure the company obtains maximum productivity and efficiency yields from the next-generation technology. 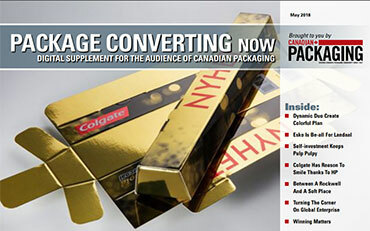 Says MacPhail: “The new press enables us to personalize a lot of packages for these indie brands to the extent that we just could not do before. 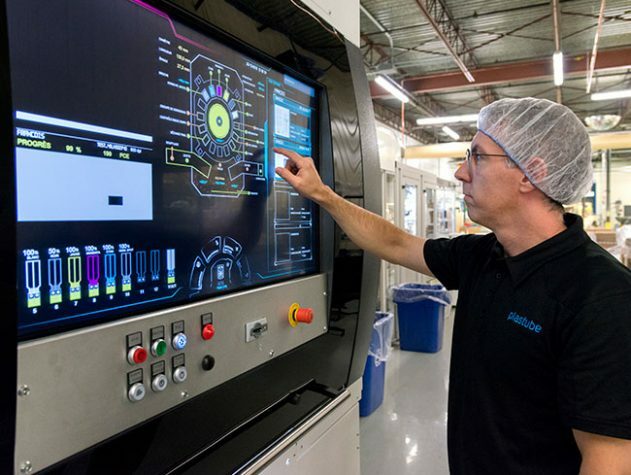 “So for someone wanting to hip their products to multiple nations, I can just run the press and change the language of the text instantaneously right on the machine’s control panel,” MacPhail elaborates. “Aside for being so flexible, the press offers extraordinary quality consistence, so that there is really no wasted materials in the process,” he says. As MacPhail points out, plastic tube packaging also happens to be exceptionally well-suited for the burgeoning online shopping e-commerce segments, which many of the aforementioned indie brand startups use to enter the market. “Tubes travel very well compared to many other types of packaging that are susceptible to breaking or coming apart during transit,” MacPhail explains. According to MacPhail, Plastube has only commenced shipping finished tube printed on this new press to customers a few weeks ago, but the early customer feedback so far has been overwhelmingly positive. “We are very encouraged,” says MacPhail, praising the exceptionally high print quality enabled by the machine’s 1,200-dpi print resolution. 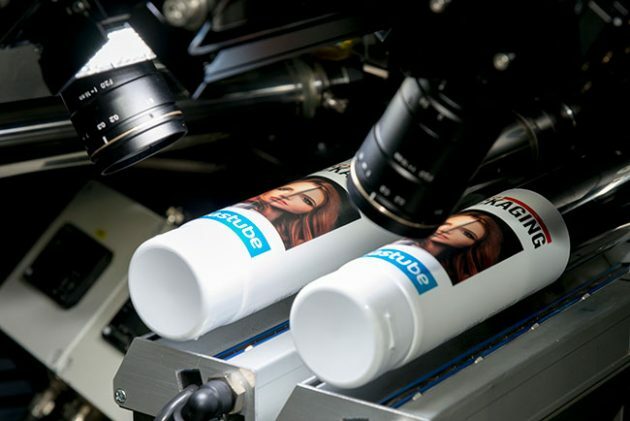 “We are also sending samples of tubes printer on our new press to many existing and prospective customers,” he says, “and we are confident that we’ll see a positive response. Boasting the ISO 9001:2008 international standards certification for quality management, the busy Plastube facility operates a three-shift schedule to turn out a comprehensive range of tube sizes and structures for its clients—exporting about 85 per cent of its output to the U.S. markets. A close-up of the high-tech componentry assembled inside the state-of-the-art digital inket press that offers unrivalled flexibility for the smaller production runs requiring high levels of customization and personalization on tube packaging. “We pride ourselves on our decorating abilities,” Decelles states. “We sell to some very well-know brands of leading CPG companies,” he says, citing Unilever’s TIGI hair-care products, Bayer’s Coppertone sunscreen lotions, Avon cosmetics, and Henkel’s Joico range of professional hair-care products as some of the company’s more prominent long-term clients. 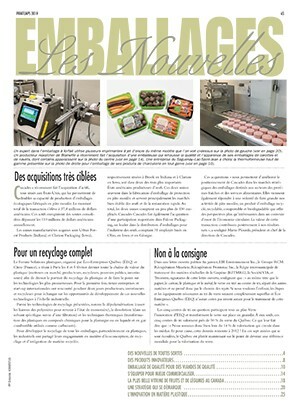 “In addition, we have good knowledge on both the extrusion and lamination processes,” Decelles adds. “We have a technical leader assigned to each technology, and they are involved with the assessment ofany project if required. As Decelles relates, the Plastube facility can run the four most common tube diameter sizes—including 30-mm, 35-mm, 39-mm and 49-mm—and can customize tube length from 75-mm to 215-mm as required. “We also offer a choice of five different tube sleeve constructions, including monolayer PE (polyethylene), multilayer PE with barrier properties, aluminum barrier laminate, plastic barriers laminate and, most recently, PCR (post-consumer recycled) resin materials,” Decelles relates. “Offering such a wide variety of tube structure enables us to follow any line extensions or formula changes our clients may launch in the market,” he points out. 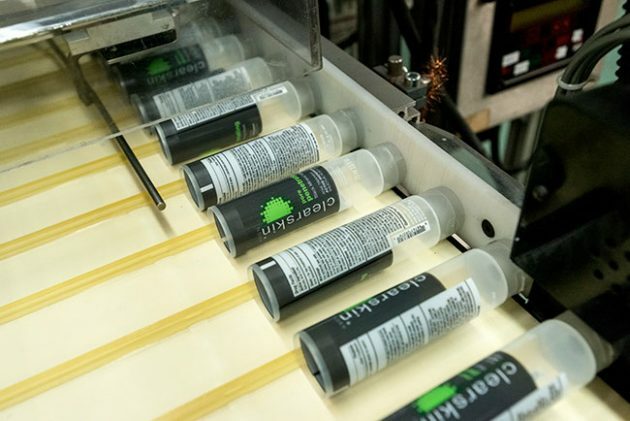 Cosmetic and personal-care product brands account for the lion’s share of production at the busy Plastube plant that now has manufacturing capacity to produce over 120 million tubes for its loyal and growing customer base. For all the technological investment, Decelles also cites the company’s highly personalized level of customer service as a strong competitive advantage. company’s three core guiding values of agility, innovation and reliability. and all our loyal customers.